Home > Rugby News > REVEALED: Scarlets news shirt has an incredible 18 sponsors on it! 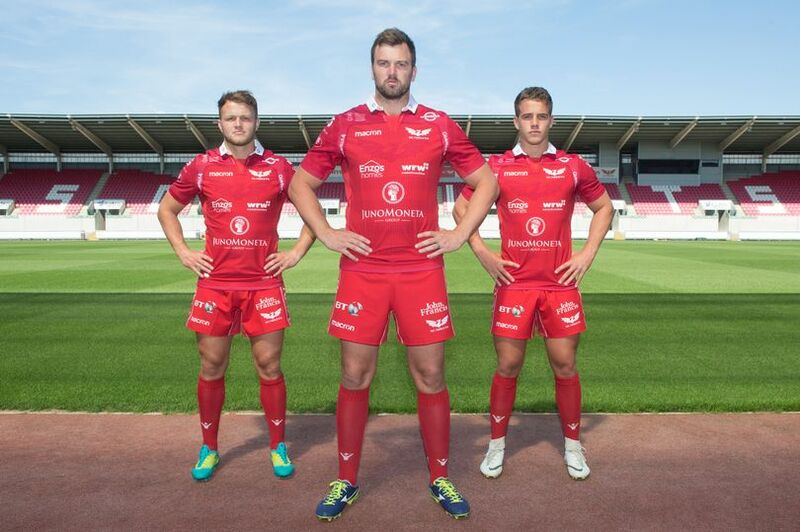 REVEALED: Scarlets news shirt has an incredible 18 sponsors on it! The Scarlets today unveiled their home kit for the 2018-19 campaign, with a new main sponsor on board. The Cardiff-based wealth management group Juno Moneta will take pride of place on the front of the all-Scarlet kit. And in a new venture by the region’s commercial team, 17 other sponsors’ logos are included, which the Scarlets say has increased the ‘value’ of the jersey by 70%. HOME KIT | Here it is, the 2018-19 home kit! Hope you like it. Available in the shop very soon but you can pre-order today! Nathan Brew, Scarlets Head of Commercial said; “Today’s showcase event at Parc y Scarlets has been an opportunity for us not only to reveal the new home kit for the forthcoming season but also to welcome new sponsors to the family. “We are pleased to officially welcome Juno Moneta Group to the Scarlets and we’re looking forward to seeing the partnership flourish over the next few years. “As well as Juno Moneta we welcome logistical partners Owens Group, Ronnie S. Evans and Pencnwc Holiday Park as new shirt sponsors for the forthcoming season alongside the existing sponsors.